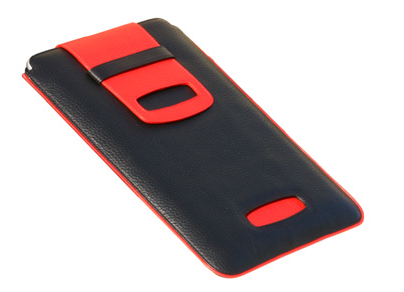 Sena Cases specializes in high end leather cases for your portable devices like Blackberries and iPhones. These leather cases bear little resemblance to the mass produced cases you are used to seeing in your local big box retailer. Naturally, I was interested in their MacBook Air cases and they kindly agreed to loan me one for a few weeks. First I must comment on the unboxing. The case came in a cloth bag and makes you feel like you are buying something special. I think a lot of Apple consumers appreciate careful packaging and Sena certainly does that. The particlar case I reviewed is called the Pullino. It is a sort of leather envelope custom tailored to hold your MacBook Air and nothing else. This is not a case to hold your power supply and other gear. It just holds the computer. I didn’t carry it alone so much as put my computer in the Pullino and then carried the Pullino protected computer in my briefcase or bag. It is tailored from Italian napa leather and sewn up on three sides with the fourth side open for you to slide your computer in. 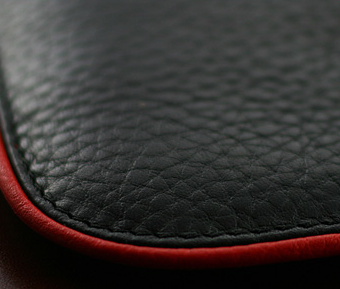 The stitching appeared sturdy and attractive with a contrasting leather color on the edge. Also inside is padding and velvet lining to protect your MacBook Air while parked inside. The most unique feature with the Pullino however is its design. 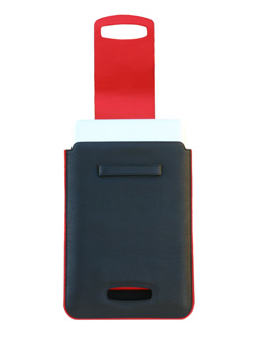 Built into the case is a wide leather strap that loops to the bottom and up the back side of the case. When you push your computer in, it pushes the strap down leaving just the handle at the top which you can then fold over the open side of the case and tuck into a small enclosure. When you need to get your computer back out, you lift the handle end and pull. The other end of the handle, which is looped under your computer, lifts the computer out of the case for you. It is kind of like those fabric ribbons you put underneath a set of batteries. The whole mechanism is deliciously analog and pulled off with leather strips and some tricky sewing. I get a kick out of the fact that this ultra modern computer has a case using technology that is literally thousands of years old. My only gripe with the case was the fact that while the handle folds over to protect some of the open end, it does not protect all of it. There are several inches of the edge of the computer exposed on each side of the case. I worried about it damaging the edge of my MacBook Air banging around in my briefcase. It would have been nice if the case were about a half inch deeper so the edges of the computer could have been recessed.